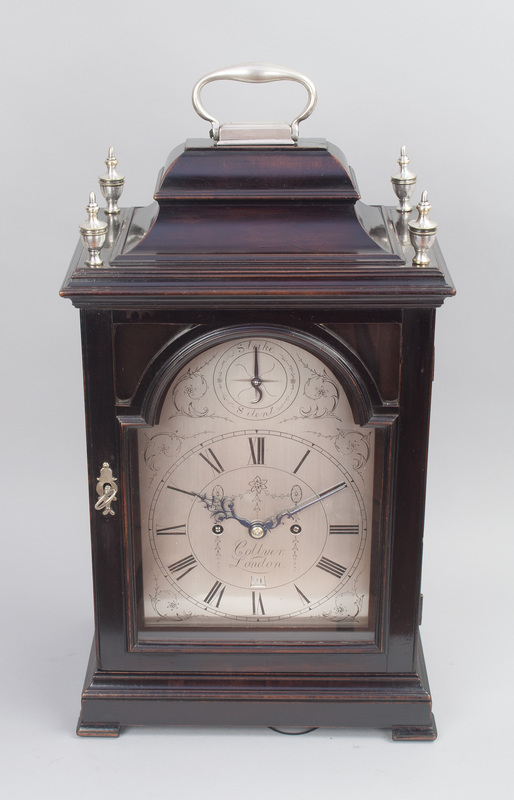 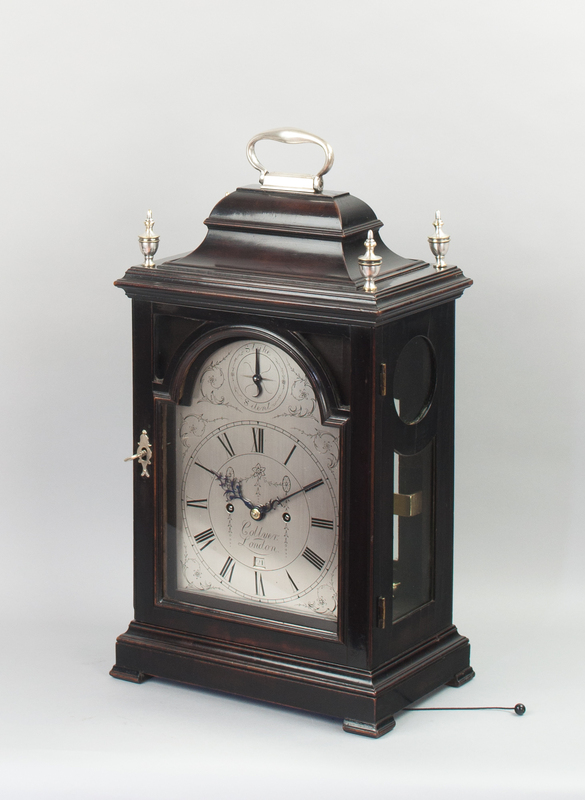 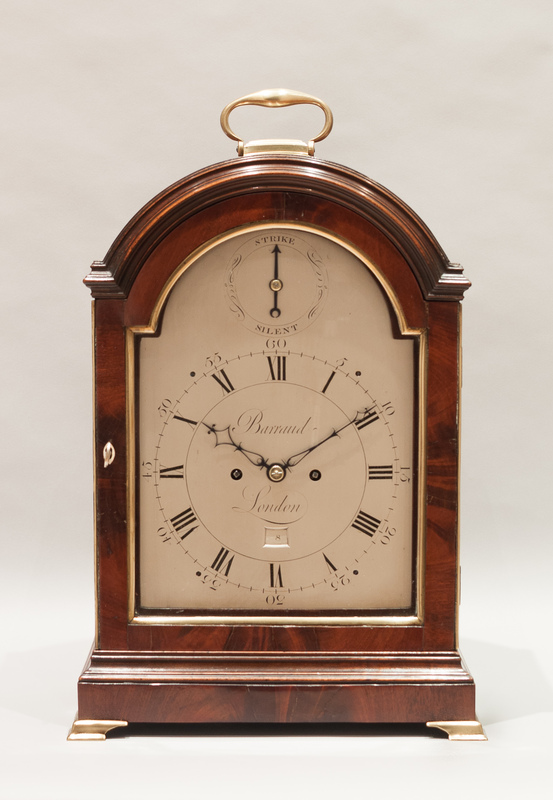 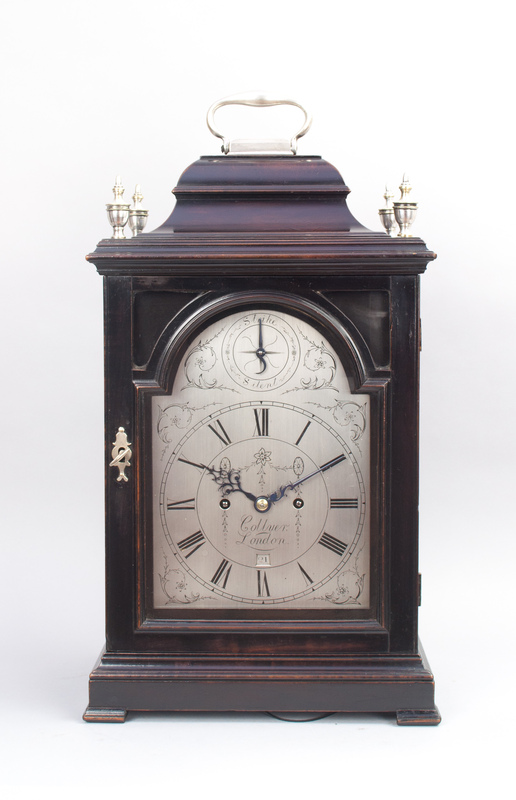 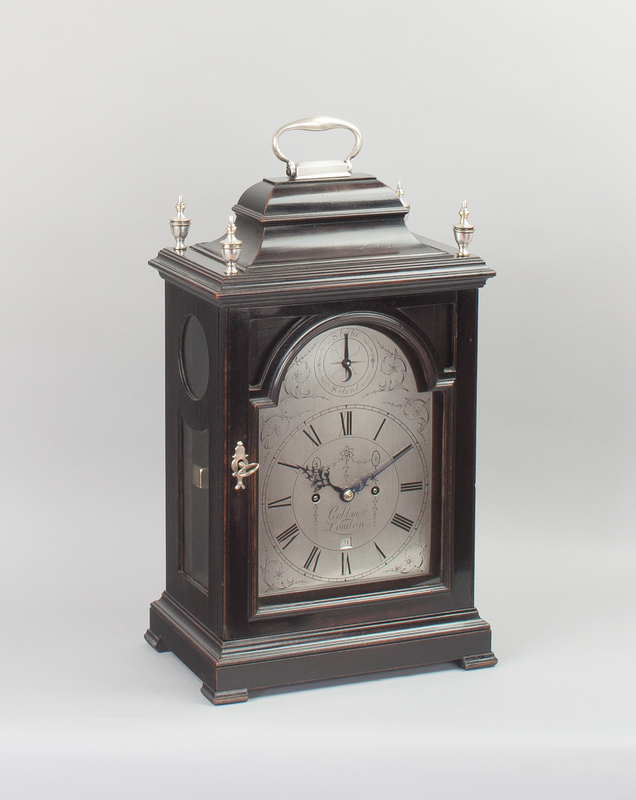 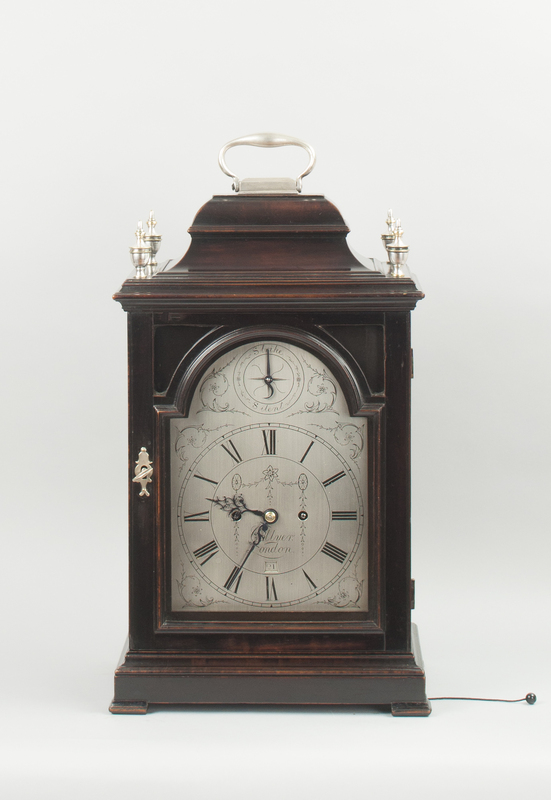 An excellent quality smaller proportioned clock by the documented maker John Walker of 230 Regent Street and 77 Cornhill London, in fine original condition with the movement fully restored. 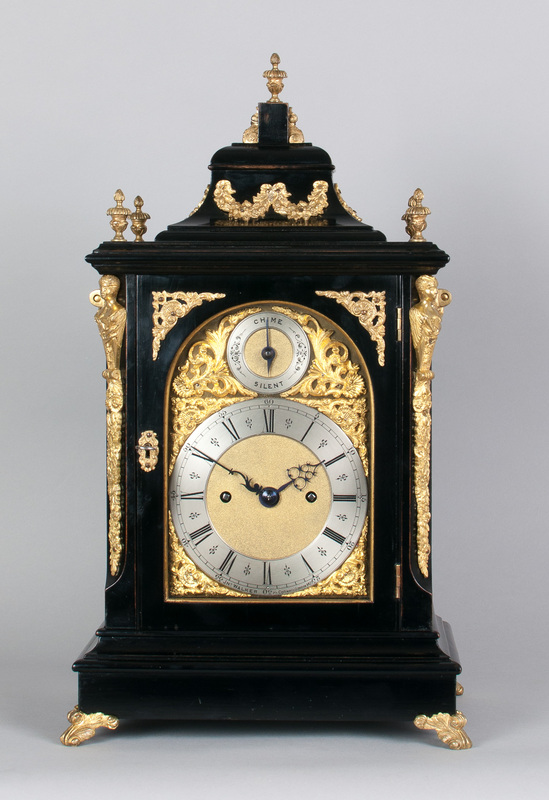 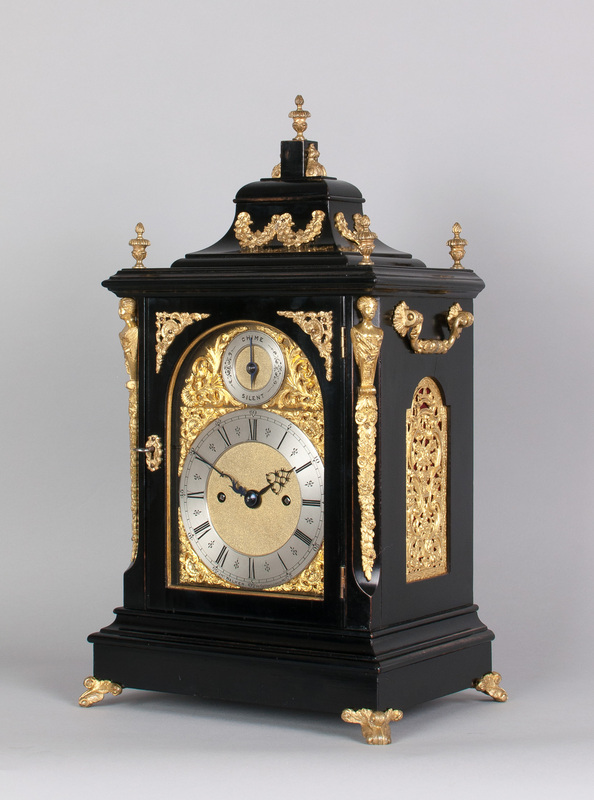 A fine quality late 19th century double fusee, quarter striking, ebonised and ormolu mounted bracket / mantel clock of small proportions. 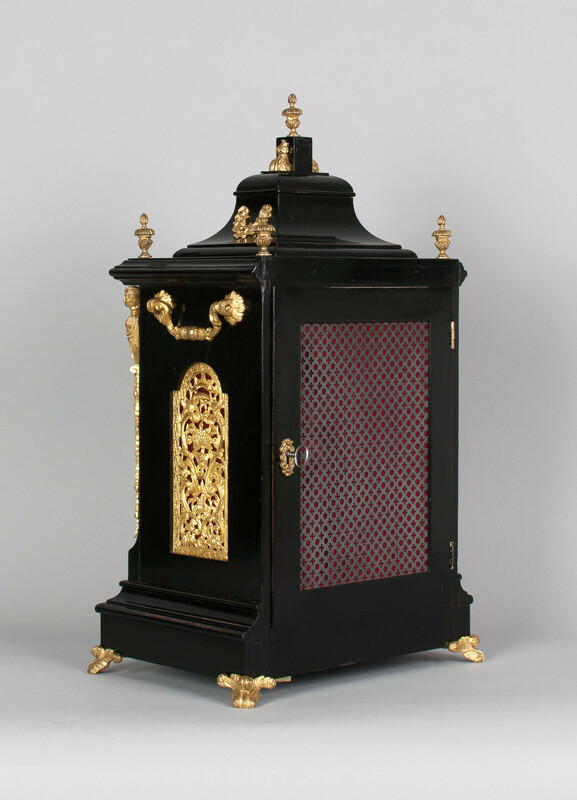 The beautifully proportioned case with bell top pediment surmounted by 5 finely cast finials above a gilded brass bound glazed arch door with spandrels above, flanked by ormolu caryatid mounts with silk lined cast gilded brass frets to the sides and ornate carrying handles, surmounted scrolled gilded brass feet. The 4.5" original gilt arched dial with finely cast spandrels, matted centre and strike silent zone to the arch. 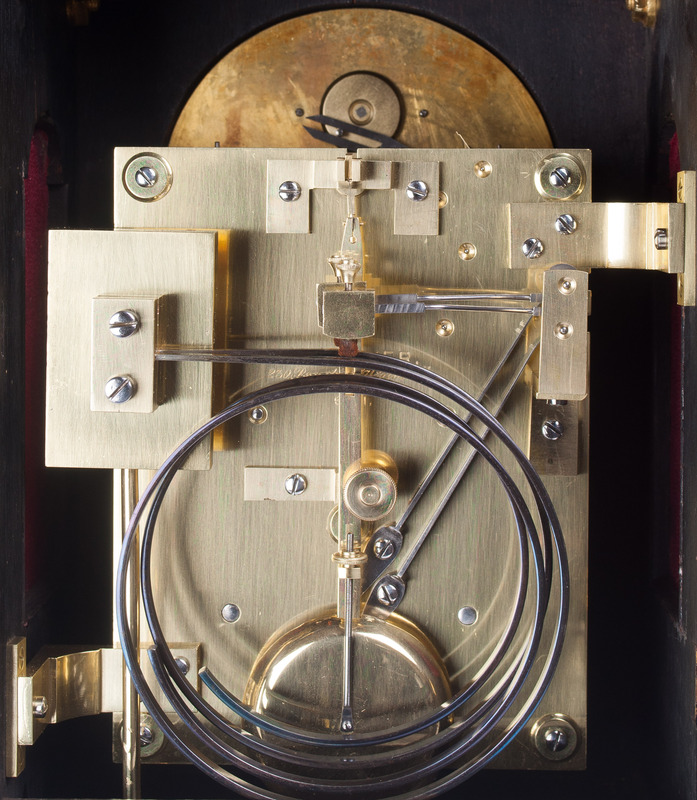 The silvered and engraved Roman chapter ring signed to the lower edge Jno Walker 77 Cornhill London. 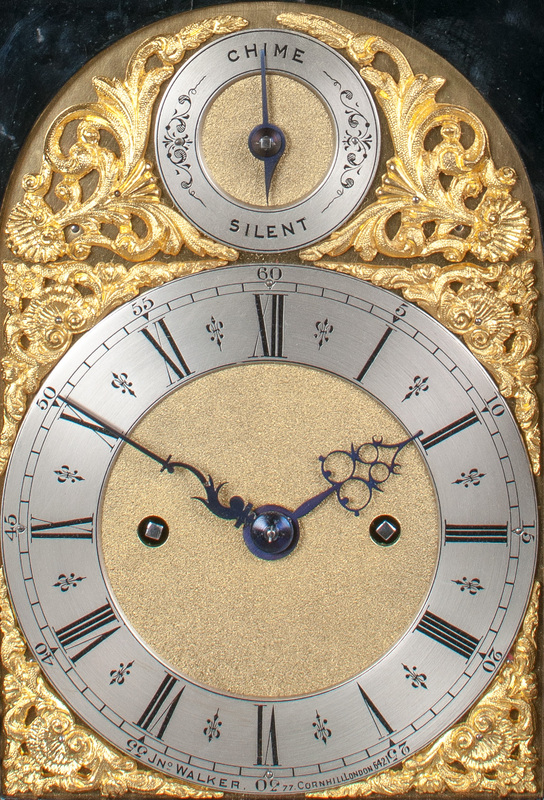 The fully restored eight day chain driven double fusee English movement striking the quarters on two gongs, the backplate signed 'JOHN WALKER, 230 Regent St. 77 Cornhill LONDON and numbered. 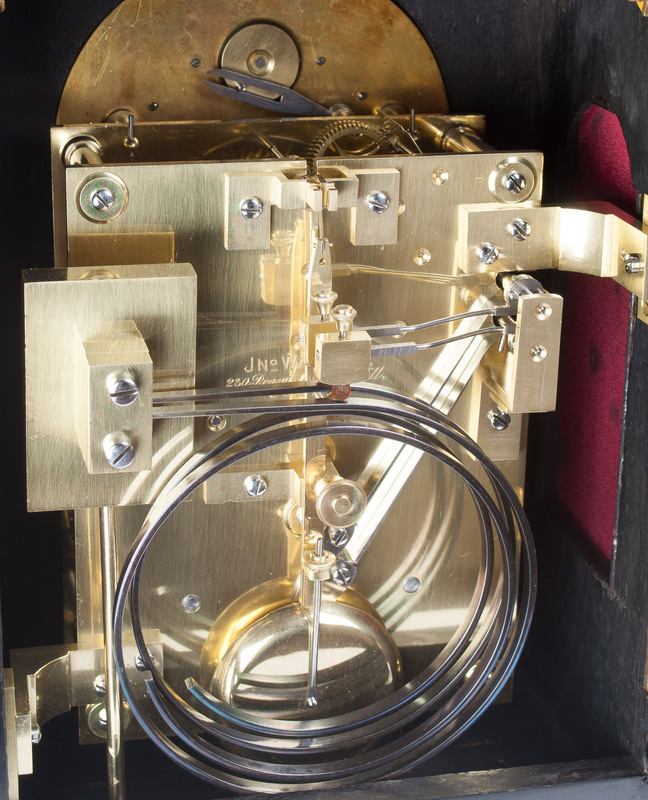 The fine quality brass bob pendulum with inverted regulation and knurled pendulum restraining nut. 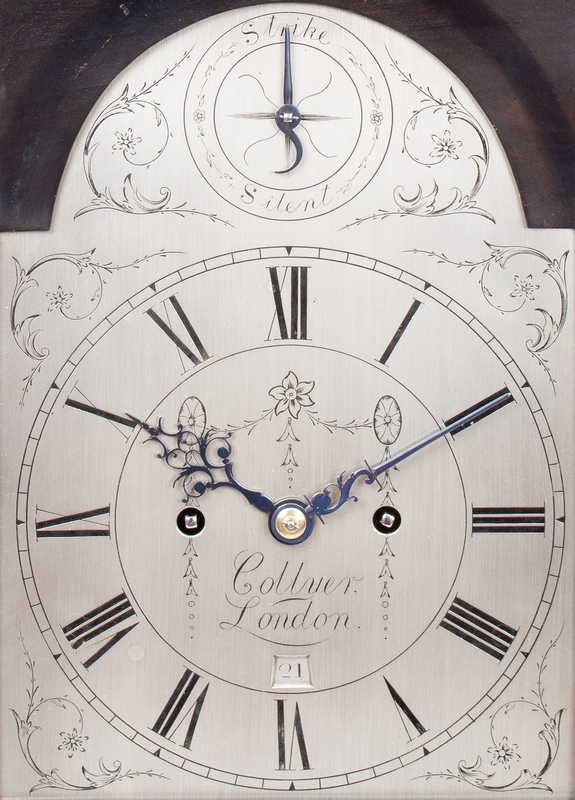 The clock strikes the number of hours on a single gong and then continues the ting tang sequence for the quarters. 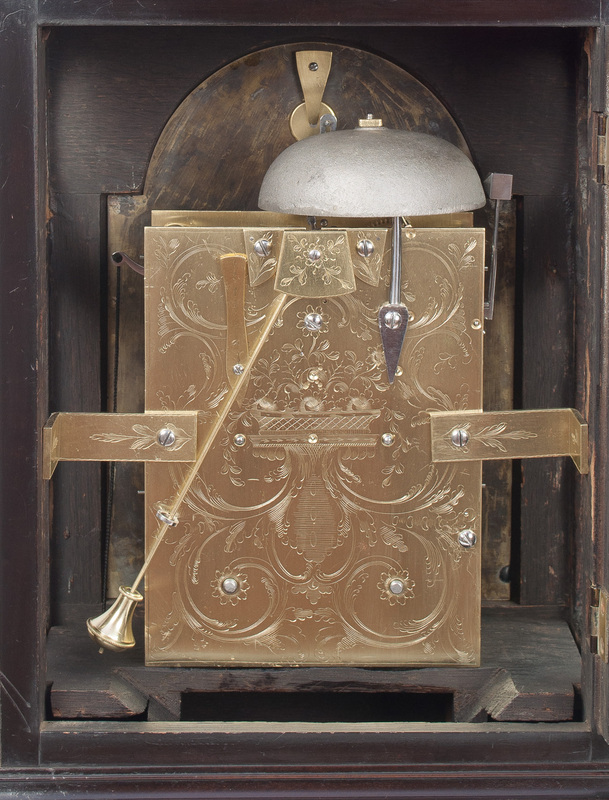 Two chimes for quarter past, four chimes for half past and six chimes for quarter to the hour.